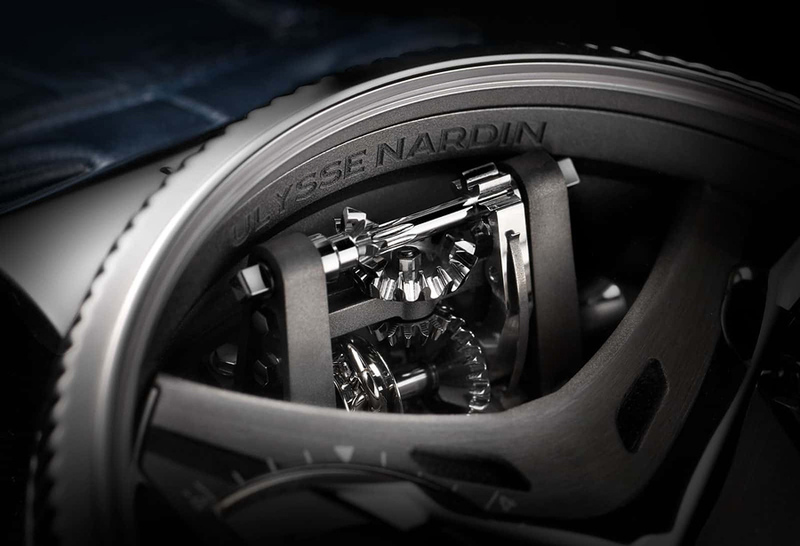 Ulysse Nardin, one of the top luxury watch brands for men, has recently launched the Marine Mega Yacht Tourbillon , a watch that showcases the watchmaker’s mechanical ingenuity by incorporating elements from yachts into its design. 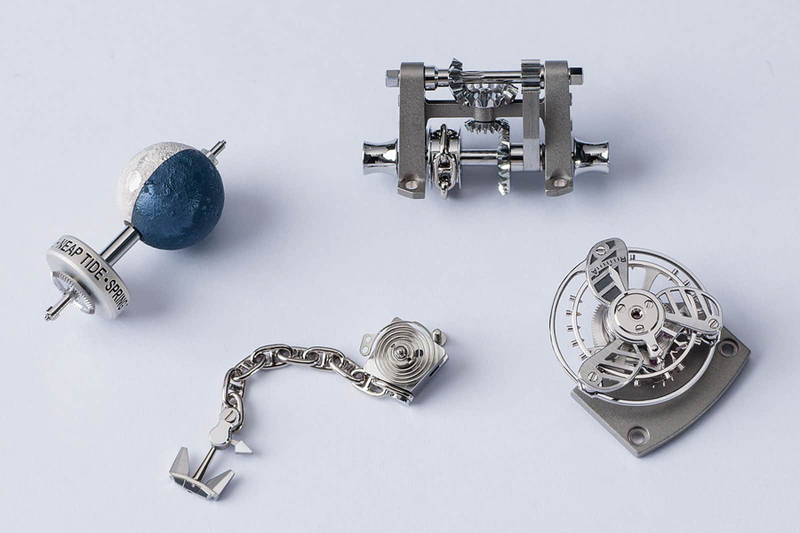 The clever mechanics come with an anchor, chain and winch into the moving parts of the watch movement. 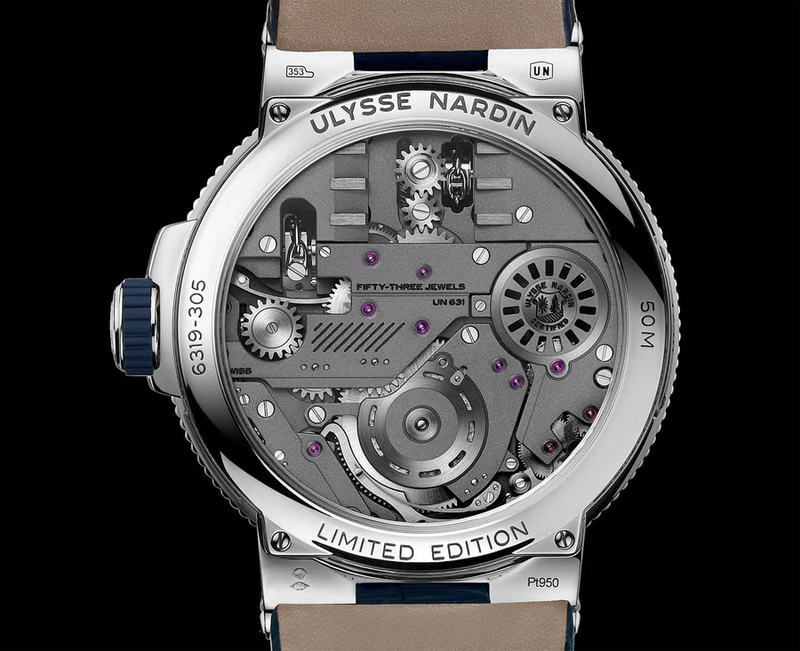 And speaking of the movement, it’s a hand-wound UN-631 with an 80 hour power reserve and a flying tourbillon at six o’clock. 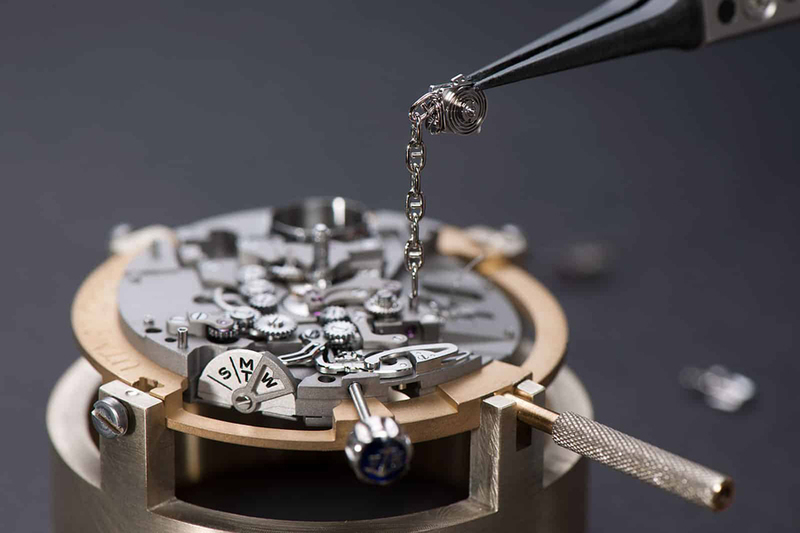 The movement contains no less than 504 parts. 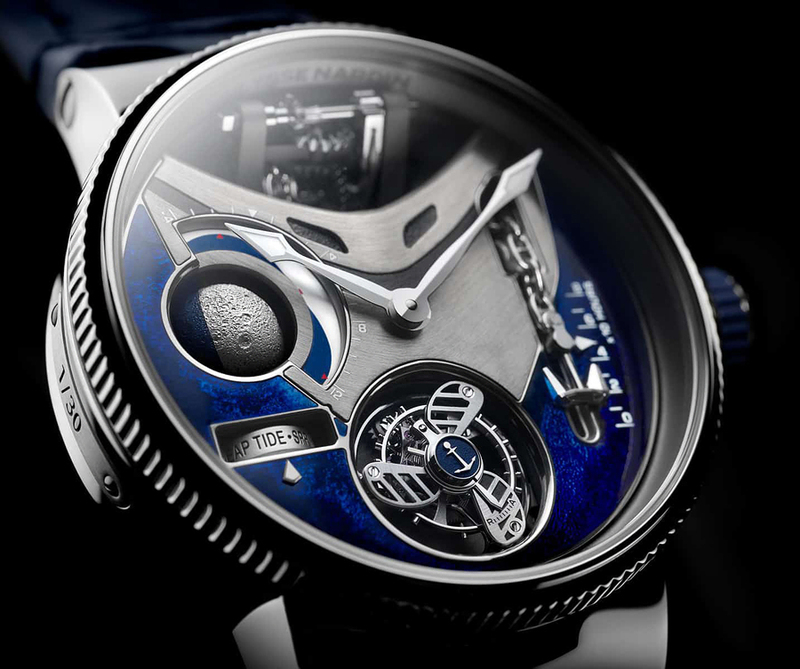 The white gold dial features a deep blue vitreous enamel resembling the sea, and has a propeller shaped tourbillon as a nautical element of the movement. 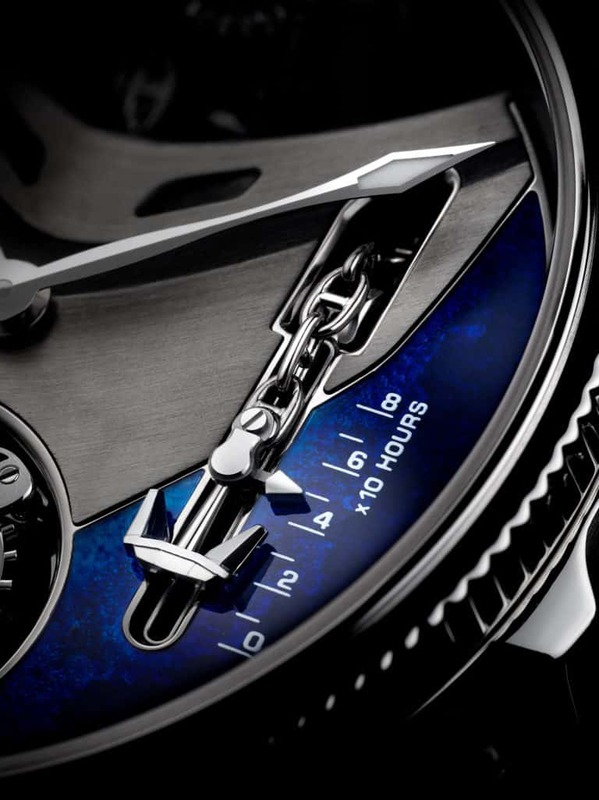 The power reserve indicator takes the shape of an anchor linked to a chain, indicating the power through an interesting up and down movement of the chain. 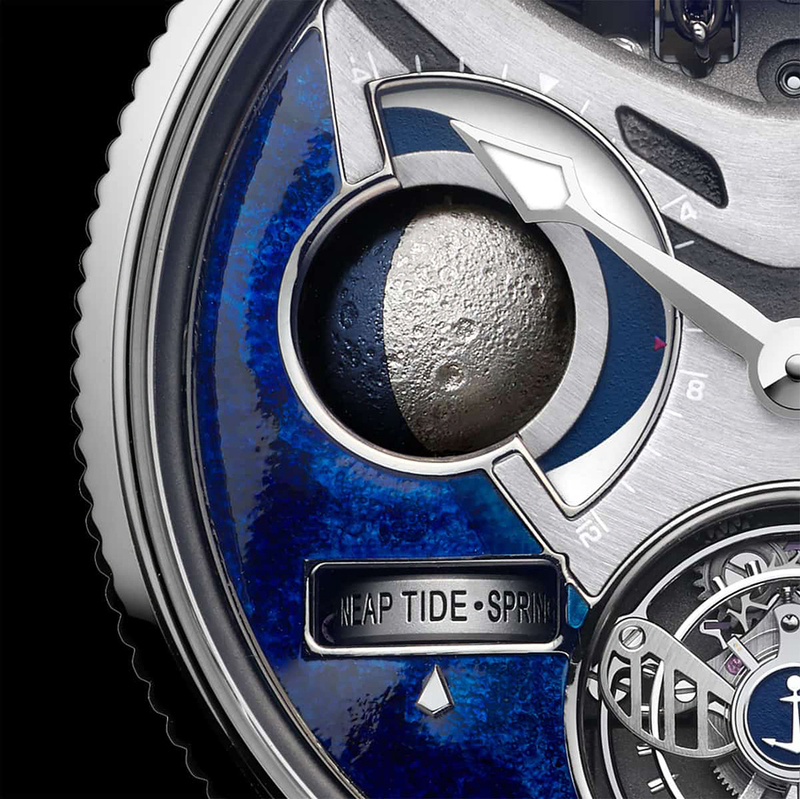 The Ulysse Nardin Marine Mega Yacht Tourbillon comes as well with a spherical moon phase indicator with a blue and silver ball resembling the pockmarked surface of the moon. Right next to it there’s a tide indicator, showing the sea level in real time, and can be calibrated for a specific location via the crown. 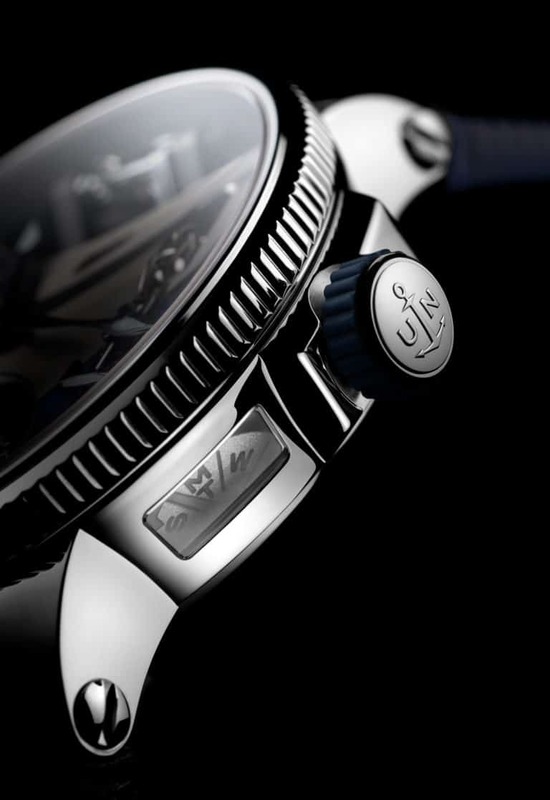 The watch comes encased in a 44 mm platinum case, water resistant up to 50 meters. 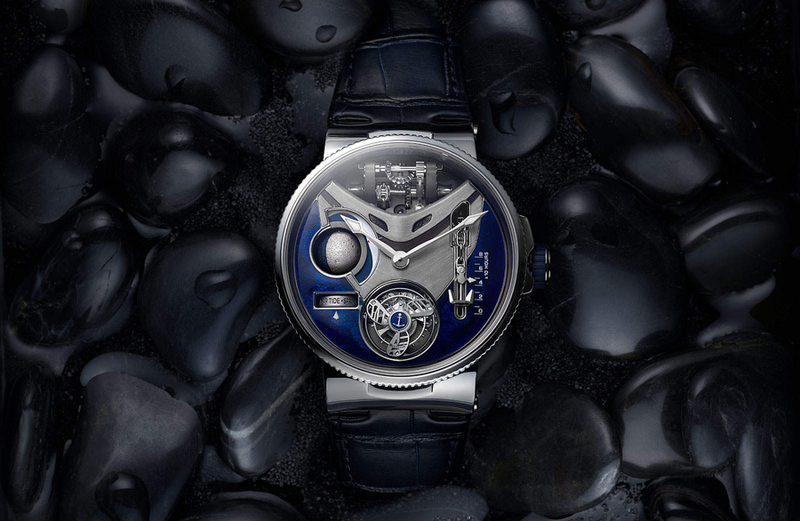 It’s a limited edition of 30 pieces, each priced at a cool $310,000. 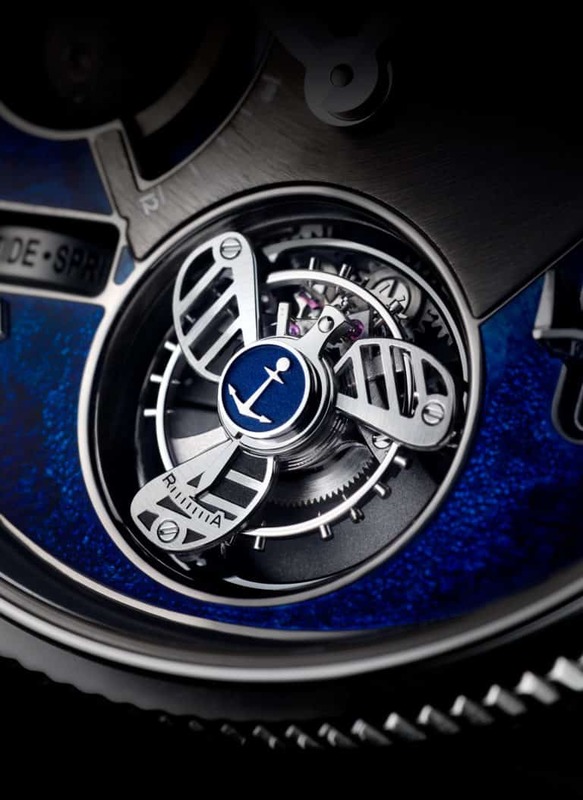 Considering their price you should also check other the most expensive wrist watches in the world.